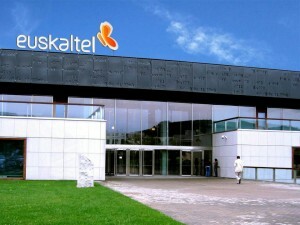 A study of consumers in the La Rioja region of Spain carried out by regional cable operator Euskaltel has revealed that 50% of people prefer Netflix to regular TV and that two thirds of consumers never use a fixed phone. The study of 32,500 people in the northern Spanish region found that half say they always prefer Netflix to TV, even if they most often choose to watch regular TV on a day-to-day basis. The study found that 66% of people said they never used the fixed phone line, despite this being present in almost all households surveyed. Almost all homes had an internet connection, but 41% reported having problems with home WiFi. Some 59% of consumers reported unhappiness with their mobile service, with 85% preferring to use WhatsApp and Instagram to stay in touch. Some 35% share their mobile connection with children. Euskaltel recently begun marketing its services in the region over Orange’s fibre network, and has opened its first outlet in the region in Logroño.